Beautiful pool designs include outdoor kitchen spaces for added entertainment benefits. 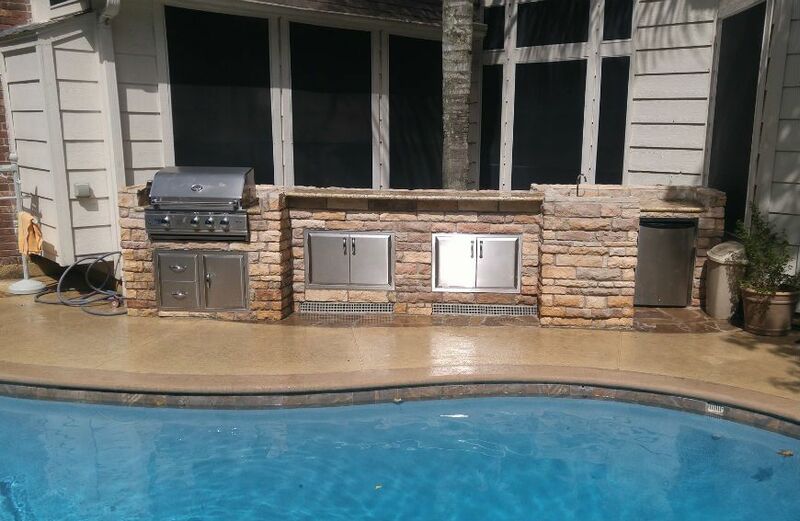 Pool designs by the outdoor kitchen pros are constructed using the best materials to seamlessly match your backyard aesthetic. Outdoor living is meant to be enjoyed year-round in Houston Texas. We can custom design and build a complete backyard paradise. Call the premier Houston outdoor kitchen contractor today for a free in-home estimate.